Any business that leaves this impression on its ‘employees’ seems sure to fail. For one start-up, however, these feelings are just the tip of the iceberg. The most striking thing is the view. To the left, Marina Bay Sands sparkles in the afternoon sun, the ArtScience Museum unfurls its petals, and the Gardens grow towards the sky. On the other side, the CBD’s myriad skyscrapers slant heavenward, glinting like dark jewels. In between, though, the true marvel: an unrestrained view of the horizon, where the glittering sea goes on and on until the sky falls to meet it. It’s hard not to be overwhelmed by the sight. It screams Hope, Opportunity, Riches—all await you, if only you’re willing to reach out and take it. I’m here to meet Jordan Kang at the office of I Care System (ICS), a new business platform that is set to launch in April this year. Take note of the '3 common mistakes': asking your parents, seeking advice from your friends, and going online to get opinions. To get some perspective on ICS, I spoke to three ‘affiliates’ of the company: James, Mirza, and Andy (not their real names), who each invested $1,688 into the platform. The first thing they tell me about is the ‘delay time’. This ‘pre-appointment flow’ is jargon for a discussion held between affiliates of ICS before meeting the prospect; Chanuja is effectively directing his subordinate to make the potential recruit wait for half an hour, delaying the meeting. Which seems to be company policy. Jordan is over forty-five minutes late for the meeting, or ‘sharing session’, as ICS representatives call it. He meets me in the lobby, apologising profusely, explaining that he’s been very busy in meetings all over the place. The ICS office is located on the 28th floor of the Clifford Centre, in a shared space with several other companies. After I’ve gotten over the view, Jordan shows me around the sharing room. There are displays for the products that ICS affiliates sell: EuroCuffz tailored shirts, LittleGreenBee honey, GERBayer skincare, 300 Percent Positive training, and 500k Numerology. “How do we know each other?” Jordan asks me. Instagram, I reply. After the brief office tour, Jordan invites me to take a seat in one of the seminar chairs. The view is always right next to me, which must be intentional; promises of vast lifestyle improvements are at the heart of ICS’s proposal. 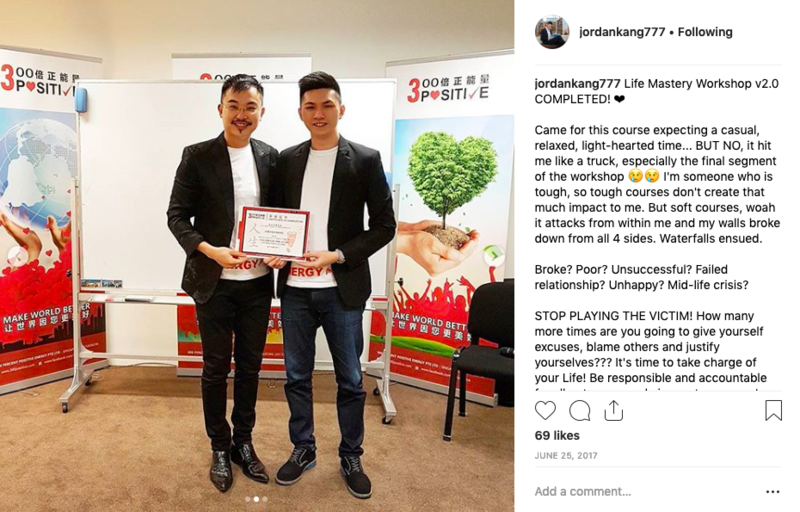 Presenting this lifestyle has become much easier with the advent of social media, especially Instagram, which Jordan notes is an invaluable tool for network marketing. 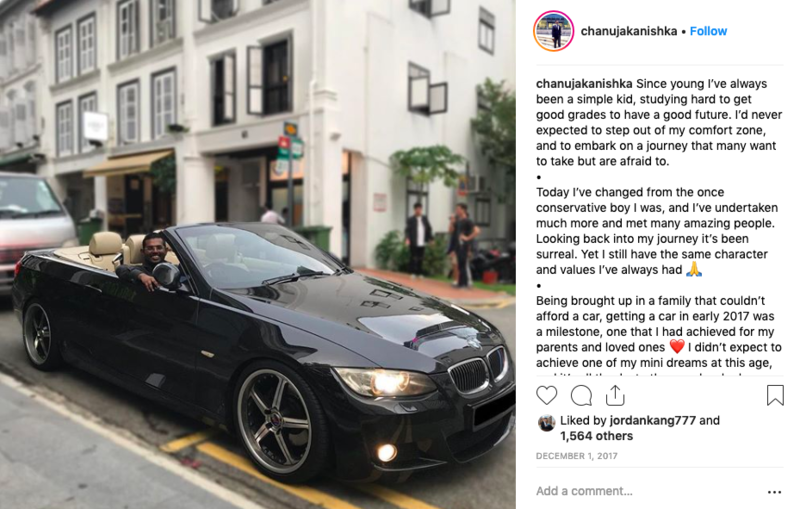 With photos of Mirza’s superior, Chanuja, attending high-class events, or in a spanking new convertible BMW, the selling of image has never been simpler. Chanuja with a new car. 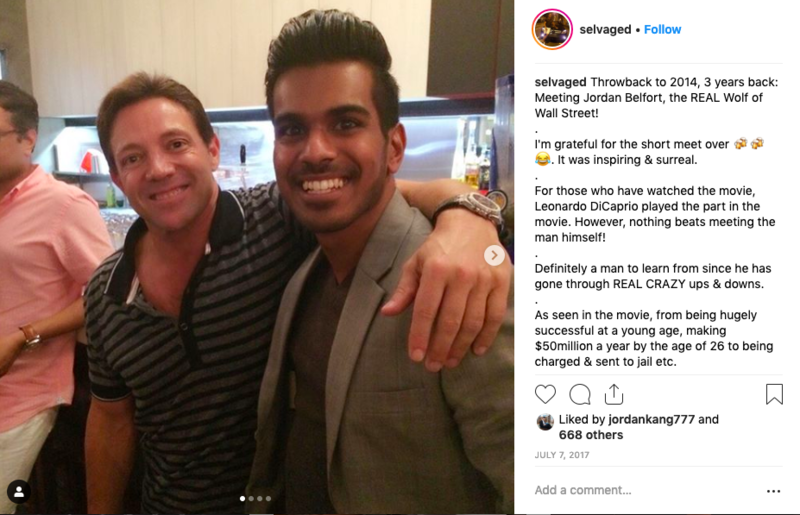 Another high-ranking ICS affiliate, Selva, is captured candidly hanging out with stars like Jordan Belfort, the Wolf of Wall Street, or behind the wheel of a yacht. Jordan Kang, who I met at the office, is photographed at Miss Earth and Miss International Singapore pageants, posing with beautiful women. 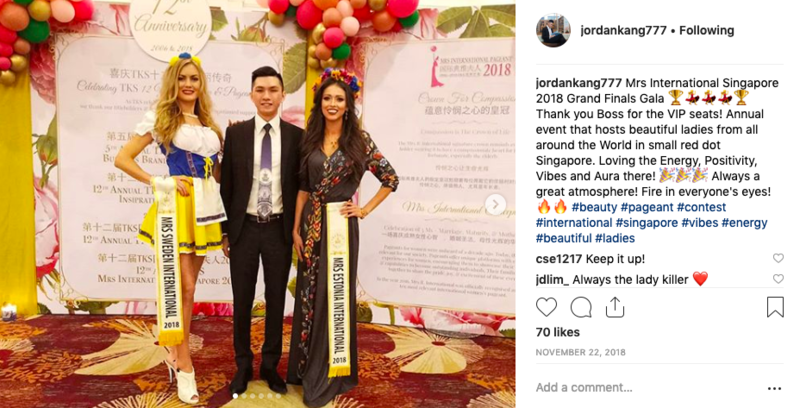 Jordan at Miss International Singapore. 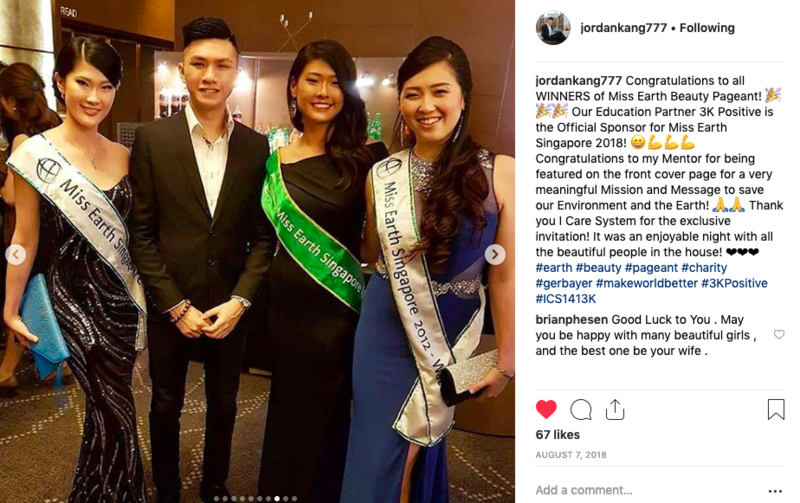 Jordan at Miss Earth Gala. These photos all speak to a luxury beyond what ordinary desk-bound workers will ever be able to accomplish. As Jordan explains, there are three income opportunities an individual can seek out. The first is a typical job, represented in a Powerpoint presentation by colourful clipart of a clinically depressed office worker. He has no financial freedom, no time freedom. This is why the key demographic for ICS recruiters is 18-25, Jordan adds. Proudly, he tells me about their new intake of affiliates, who have just finished polytechnic or National Service. It seems that they zoom in on people in between phases—people who are unsure, uncertain of their path in life; who see nothing in their future but a dead-end job, rising costs, and stagnating wages. Detailing these issues makes up the first half of Jordan’s sharing. “The problem with entrepreneurship is 9 out of 10 times you fail,” says Jordan. Starting your own business, according to ICS, is a high-risk, high-reward enterprise. You can try, but you probably won’t succeed. The only logical option is the third: joining a ‘new world’ platform like ICS, which promises to share the profits with all employees as “everyone is a partner working together on the platform.” At this point, I’m still confused, wondering when exactly the actual business model will be revealed. I’m not alone in feeling this. Andy was thoroughly confused during the sharing session he attended. “They were speaking in circles”, he says, “Going on and on, not explaining anything”. If he was so bewildered, I ask, why did he sign up? The ethos of success is enshrined in ICS’ partners, or as Jordan refers to them, the ‘big bosses’. While world leaders may be famous, the truly influential are often difficult to locate, he explains. This is why I’ve never heard of the biggest boss; ICS’ frontman, Jordan’s mentor, the subject of his own promotional ‘trailers’; the man known as Dato’ Seri Bryan Fan. Allegations of scamming activities have surfaced before about Bryan Fan. 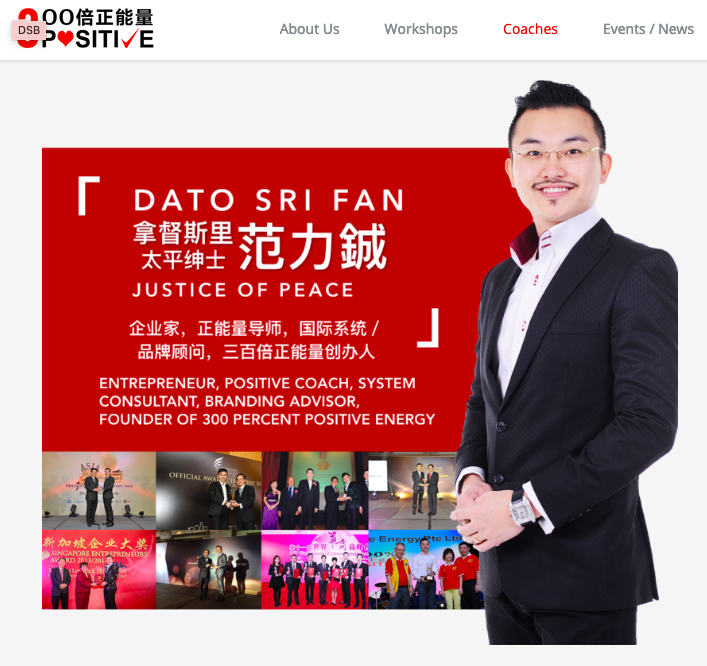 A forum post about him on Durian Runtuh prompted a takedown notice from Gravitas Law LLC for being ‘defamatory to their clients’. Curiously, that forum post was merely a repost of this page from another website, which has remained available. When we reached out to Gravitas Law for comment, they replied that they are the solicitors for a “Messrs Fan Ren Rey and Fan Ruicheng”. Rumours have been floating online about Bryan’s brother, Rey Fan, so we can assume that ‘Fan Ruicheng’ is the real name of the man known under the monikers of Bryan, Bryannz, or Brainns Fan. 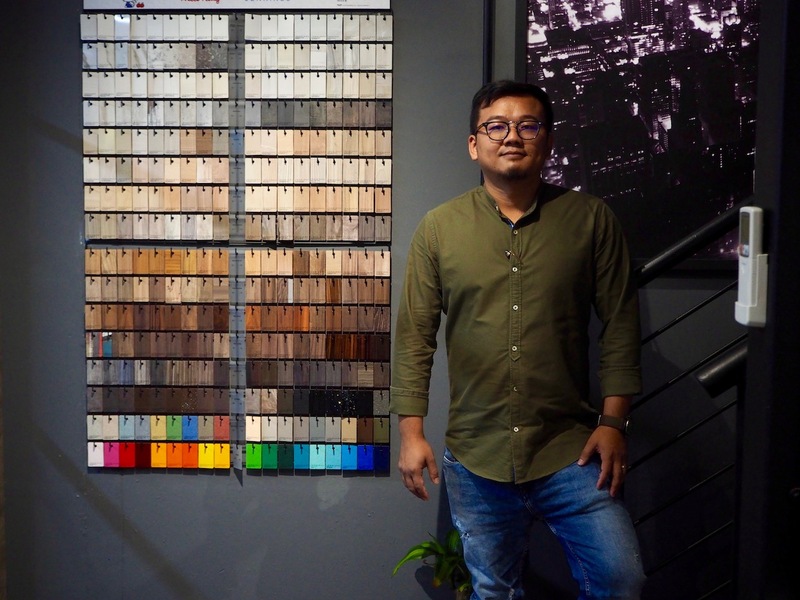 However, he is only ever referred to as ‘Dato’ Seri Bryan Fan’, a title that sounds impressive and legitimate, but Malaysian media suggests that it can be bought for as little as SGD$14,000. Another display of ICS’ legitimacy is captured in the range of businesses it has on board its platform. This diversity, to any would-be recruit, is a clear marker of the company’s value. First off the bat is 300 Percent Positive (300k), their ‘positive training’ business, but it’s not hard to see where most of their clients come from. 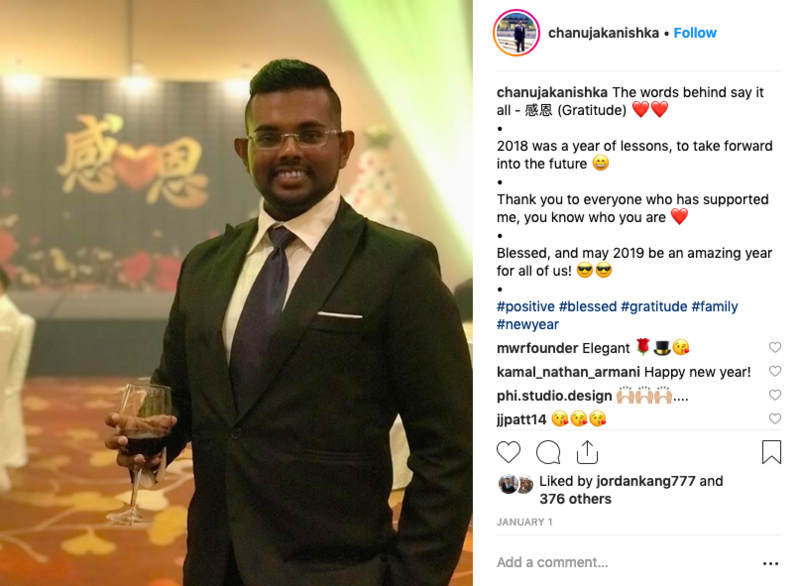 Just head on down to the testimonials page of their website, and you’ll see some familiar faces: Jordan, Chanuja, and Selva, alongside others who are easily identified as fellow ICS affiliates. It appears that the consumers of 300k’s training are the ‘employees’ of their parent platform. Unsurprisingly, Fan Ruicheng is also a coach at 300k. 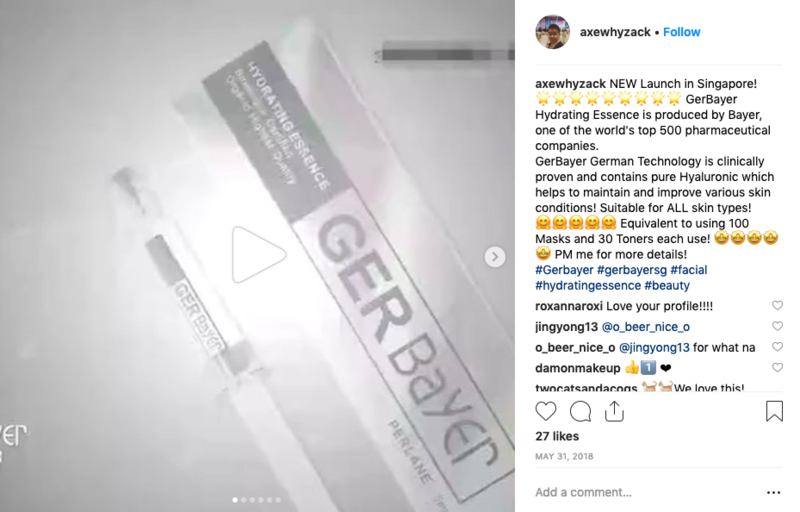 Moving on to physical products, ICS sells a skincare liquid known as GERBayer Hydrating Essence. Perhaps what’s most outstanding is the name: is this a partnership with the Fortune 500 pharmaceutical company, Bayer Inc? Bayer Inc is a German corporation; ‘Made in Germany’ is virtually a global shorthand for ‘excellent quality’. Perhaps this confusion is why the product is no longer called GERBayer. 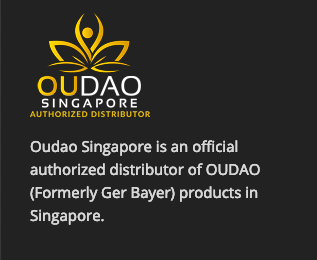 GERBayer has been rebranded as OUDAO Singapore. Bayer did not reply to requests for comment. As Jordan says, the GERBayer brand had absolutely no association with Bayer Inc. When I asked him for the reason behind the name change to ‘Oudao Singapore’, he replied that Oudao simply had “better recognition amongst customers”. Third on the list is LittleGreenBee (LGB), a particular variant of honey produced by ‘stingless bees’. A call to LGB headquarters puts me in touch with its founder: a certain ‘Dato’ Sri Jeroen Chew’. If the name sounds familiar, it should: Jeroen and his father, Hon Chin, are the father-and-son exorcist duo at the heart of Singapore’s very own ‘Ghostbusters’ company. Jeroen tells me that business is tough in Singapore, especially up against Manuka honey, an Australian brand. Many shops that stock LGB are listed on their website (including Lazada, an online store), but ICS is not one of them. I ask Jeroen whether LGB is partnered with ICS, and he replies that he “does not know of [ICS]”, but that they “could be just a vendor”. Jordan and other ICS affiliates promoted LGB products at RP Carnival 2018. Jeroen, LGB’s founder, is unaware of such activities. The final and most high-profile company is Eurocuffz, a seller of tailor-made shirts and cufflinks. This company’s links to ICS are the most interesting, but we’ll come back to that later on in the article. 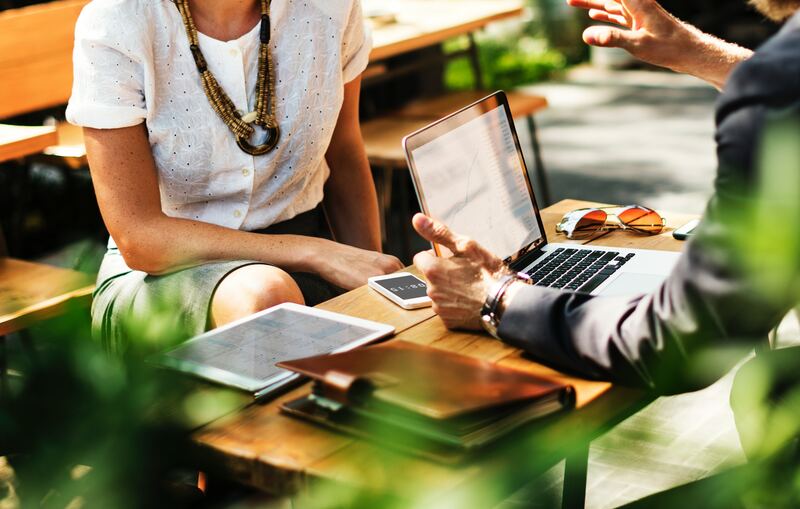 They talk a lot about sales, but despite the four consumer-facing brands that are marketed by ICS, the only business available to lower-ranked ICS affiliates is the recruitment of others onto the ICS platform. Or, as ICS terms it, ‘referrals’. “You can’t sell once you go in. You have to attain a certain ‘affiliate’ level to sell products; the only way to get there is to recruit people,” says Andy, which makes ICS sounds awfully like a Multi-Level Marketing (MLM) company. 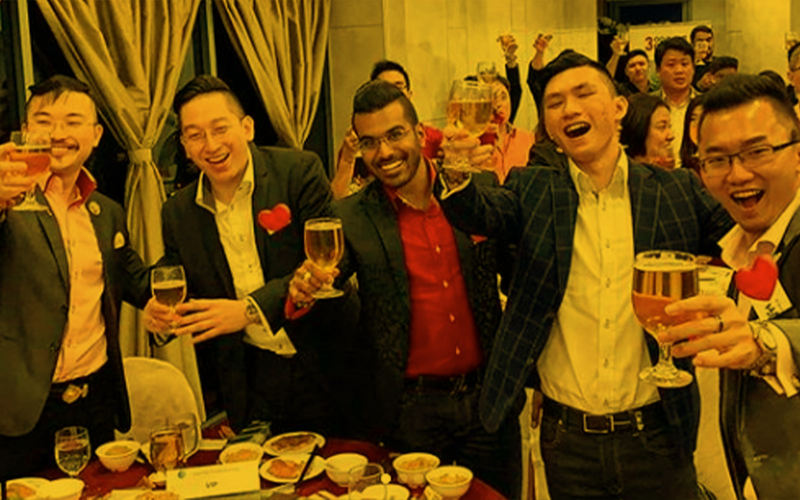 MLMs are legal in Singapore; they even have their own trade association, the Direct Selling Association of Singapore (DSAS), an Institutional Member of the Consumers Association of Singapore (CASE). ICS, however, is not a member of the DSAS. MLMs are legal as long as the monetary transaction involves the ‘sale’ of a product. In this case, when Andy and Mirza signed up, they were rewarded with (or rather, ‘sold’) four EuroCuffz shirts. Cuffz Holdings, the holding company that owns EuroCuffz, is notably on the MAS Investor Alert List as an “Unregulated Person(s)… who are not licensed or authorised by MAS.” One of the Directors at Cuffz holdings is none other than a ‘Bryannz Fan’—that is to say—Fan Ruicheng. This means that proceeds from the ‘sales’ of these shirts are indirectly received by Cuffz Holdings (Eurocuffz’s owner), which pays Fan Ruicheng (to be Cuffz’s director), who is also the man in charge of ICS. 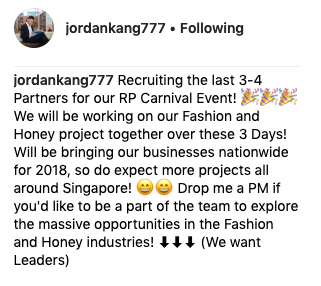 Jordan himself admits that similar network marketing enterprises may, in fact, be Multi-Level Marketing (MLM) companies. James tells me that ICS affiliates “use network marketing, with the binary comm plan to show that [new ICS recruits] can earn what others earn”. 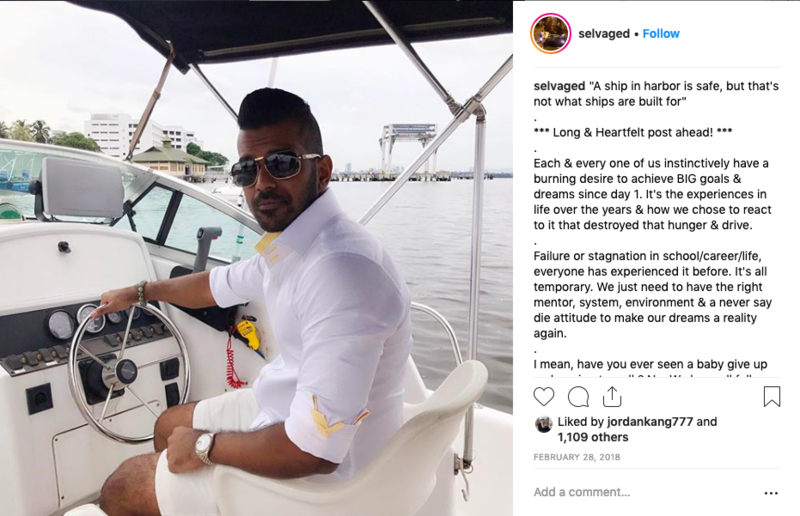 He is referring to a binary compensation plan, which is known to MLM lawyer Spencer M. Reese as “the darling of startup multilevel marketing companies”. So what exactly is a binary compensation plan? Jordan explains, with the help of a pen and paper. A re-creation of the pay structure Jordan drew out for me. In the binary compensation plan, an affiliate has two legs: A, the power leg, and B, the earning leg. There is little distinction between the two, and affiliates are free to allocate their recruits to either leg. However, an affiliate can only earn a commission on recruits allocated under the ‘shorter’ leg, or the leg with less people, which will be the earning leg. 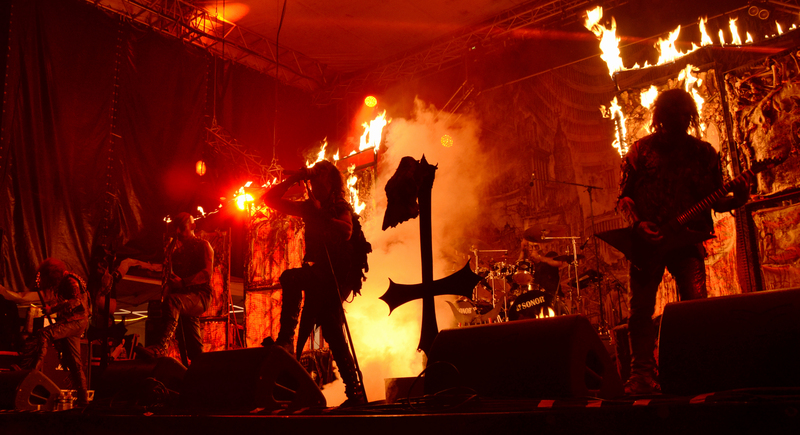 Hence the ‘longer’ leg is called the power leg. To my mind, this system is ripe for abuse. Hypothetically, affiliates can be encouraged, by their superiors, to recruit under the power leg so that they will not get paid for their recruiting activities. This means that even if they get disillusioned and quit ICS after several recruitments, they have successfully recruited their friends, earned money for the company, and not been paid a cent for it. But that’s just my opinion. 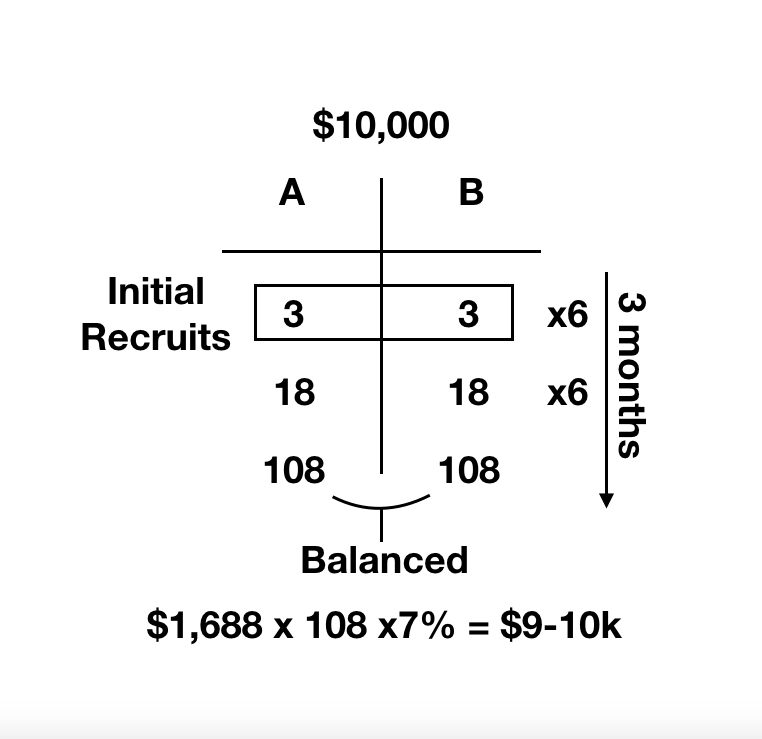 Under the plan, you can supposedly earn $10k in 3 months, and earnings will multiply from there on out through the pyramid effect. Jordan’s comments seem to indicate that the commission is kicked up three levels, hence at least 21% of the sign-up fee is paid to ICS affiliates. So far, the proposition sounds excellent for the individual who is signing up. Just recruit a few friends, and start earning. Andy was recruited by a close friend, Indra (not his real name), an ICS affiliate and subordinate of Chanuja’s. During the sharing session they attended, only Indra and his superior, Chanuja, were present. After Chanuja’s sharing, Andy says that he was “pressured into joining by Indra”. 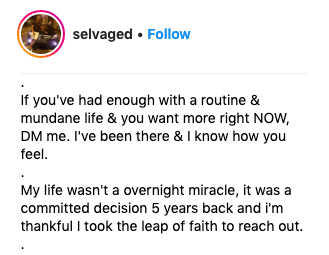 They both signed up for the $1,688 care affiliate package. During the sign-up, Mirza was “already doubtful”, but trusted his friend and decided to pay anyway. They were added to WeChat groups that only included four people: themselves, their recruiter (Indra), and two superiors, Chanuja and Selva. Soon after, they attended an ICS training session to learn the tactics of ICS recruiters. ICS recruits who want to broach the subject to their friends are advised to describe the platform as a new opportunity they’ve just discovered. Additionally, they are told to probe for the prospect’s budget, and how much they’d be willing to pay for signing up with ICS. Selva told Mirza not to “give them the company name” as they will simply “search [it] online”. Instead, affiliates should say that it’s a collaboration with plenty of companies, that it will take very long to explain. Instead, their friends should should come for the sharing session. In this way, ICS prospects are dissuaded from finding out more for themselves before being influenced by the mind-bending pitch that I received from Jordan earlier. Mirza shows me eChat messages from his superiors, Selva and Chanuja, instructing him on how to interact with his prospects. Andy only later realised that similar tactics had been used by Indra to manipulate him into attending. This was a lie. Mirza had not made any money. He complied anyway. 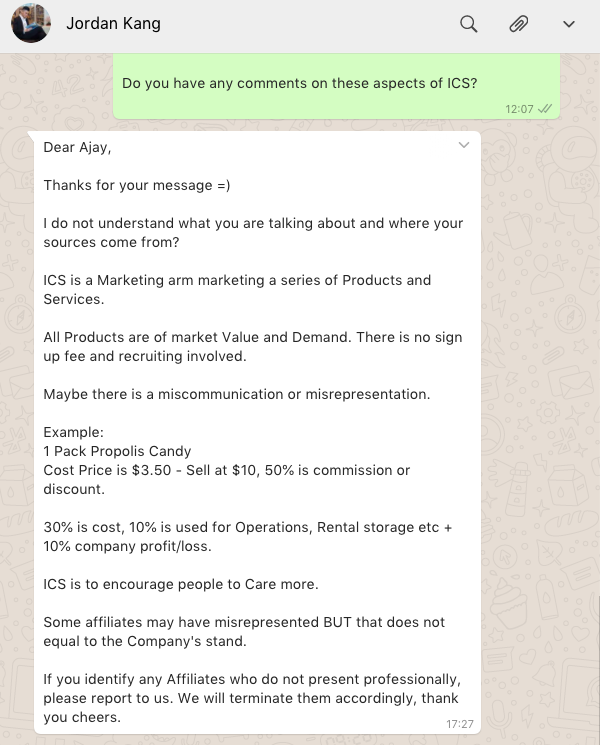 Andy tells me that affiliates are encouraged to lend the sharing session an air of exclusivity by claiming that they “only asked a few people”, and that there were “just a few seats left” to snag an ICS sharing, as Indra had done to him. This was also a lie. Andy later found out that he was just one of almost three hundred people that Indra had invited. This was why Mirza and Andy decided to quit ICS. Since learning more about ICS, James has decided to leave as well. Determined, I tried to catch Indra during a meeting with James. Shortly after Indra arrived, Chanuja happened to walk by, and spontaneously decided to join us. If there’s one thing I’ve learned when dealing with ICS, it’s that there are no accidents. My first question: What did they think of ICS’ sign-up model—of using Fan Ruicheng’s platform to buy shirts with recruits’ money; shirts made by Fan’s company; effectively Fan paying himself? Indra answered that fast food chains, like the one we were at, had a similar business model: employees sell the boss’s burgers and get paid by the boss. Then, I asked, why are ICS affiliates seemingly directed to lie about how much money they’ve made on the platform? This is not true. You will remember that a similar lie was directed by Chanuja himself, who advised Mirza to tell a prospect that he had already made ‘a few hundred’. I asked about the company policy of being late. Again, Chanuja said that there was no such policy. I also inquired about the binary compensation plan. I explained my understanding of the plan, as described above, and asked if I had made any mistakes. “Yes, I would say that this is incorrect. The full plan is available on our portal, it’s completely transparent,” answered Chanuja. In other businesses, I replied, employees are not usually required to pay $1,688 to merely understand the payment model of the company. Later, James describes to me what he finds on this portal: tabs for ‘rewards’, account management, partnerships (with the abovementioned companies), and a news feed. James tells me that an affiliate only finds out how much he’ll be paid once he actually completes several recruitments. The portal didn’t help him understand the payment model any better. I answered that I was considering it, and I was trying to find out more. 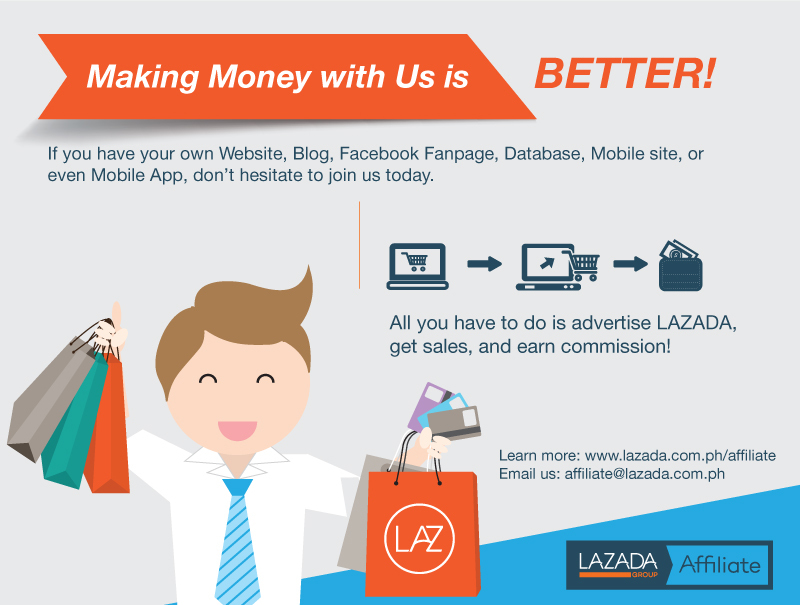 However, Lazada’s pay structure is a simple commission-per-sale deal, while ICS has a binary compensation plan. Continuing his explanation, Chanuja spelled out to me how the recruitment of affiliates is also considered sales, and that some affiliates might not join the platform to earn money, but to enjoy the products and come for the training. It strikes me that the word ‘affiliate’ is exceptionally useful in blurring the lines between ‘employee’ and ‘customer’; ICS makes assurances to recruits as though they were the former, and sells them products as though they were the latter. “I’ve been to many companies, seen many companies, like Herbalife, NuSkin. That’s how I know that [ICS] is really the best platform. Since you’re so interested, maybe you should check out those companies, and see how they do things?” Chanuja said. 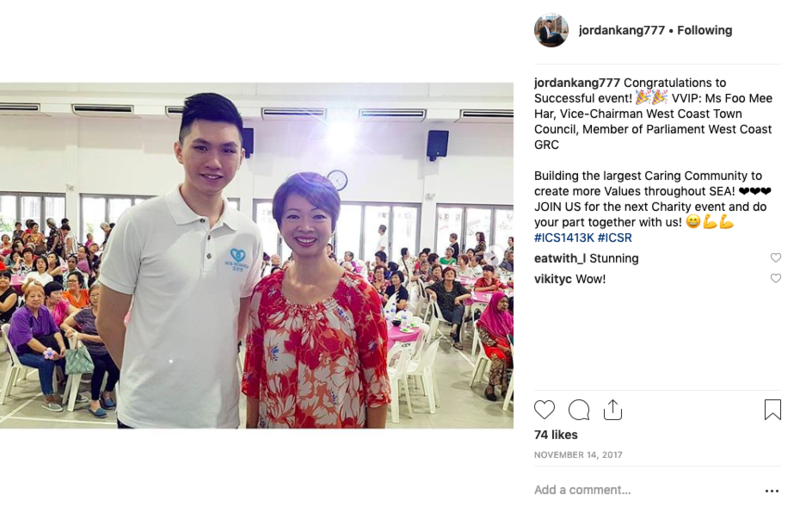 Interestingly, ICS affiliates choose to see it as a Lazada-like platform, but, when criticised, compare it only against the MLMs that they claim to be so different from. Andy and Mirza say that ICS affiliates genuinely believe that their scheme is positive and wholesome. Having this faith, however, and working hard to reap returns from it, does not negate the dubiousness of the scheme’s business model, or the reliance on subterfuge and deception. 2. In joining, they pay a sign-up fee to ‘purchase’ products that Fan profits from, but they do not know this. 3. He does not have to pay these recruits; they will earn only if they persuade their friends to join the platform. 4. To get friends to sign up, Fan’s subordinates instruct recruits to mislead, pressure, or outright lie to their friends in order for the organisation—and Fan—to turn a further profit. 5. Repeat steps (1) through (4). Just because this business holds some charity events; just because it doesn’t overtly scam individuals for large sums of money; just because it is ‘technically’ a legal enterprise, does that make its more questionable elements acceptable? Such a company survives not on the name of its business, but on the charisma of its members. If their platform collapses, the Chanujas, Selvas, Jordans, and Ruichengs of the world will just close shop and set up elsewhere. As Chanuja himself told me, there are many industries with business models like ICS. Business models that exploit unequal information; from insurance to retail to whatever the hell NuSkin is. Learn from the mistakes of Andy, James and Mirza. Be informed, and question everything. Disclaimer: The accounts above were provided exclusively to Rice Media (with the consent of the interviewees to disseminate) and/or recounted by the interviewees to other news outlets, and by no means express the view/belief of Rice Media in any way. Have something to add to the story? 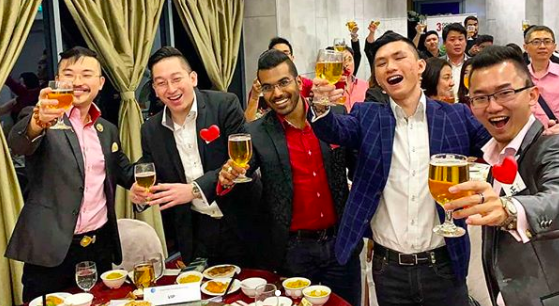 Should companies like this be allowed to operate in Singapore? Write to community@ricemedia.co. 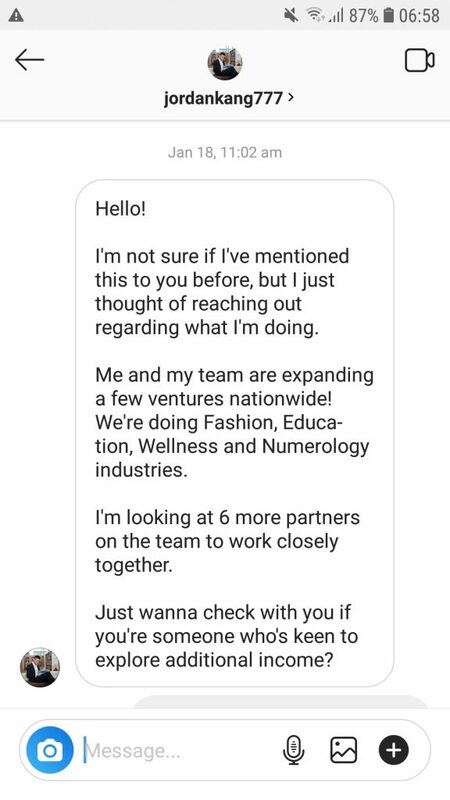 Join An MLM Company. Get Rich. What Could Go Wrong?